Galaxy Cam 3h46.8 +68° 06' 18' 9 7 to 11 Mly ??? 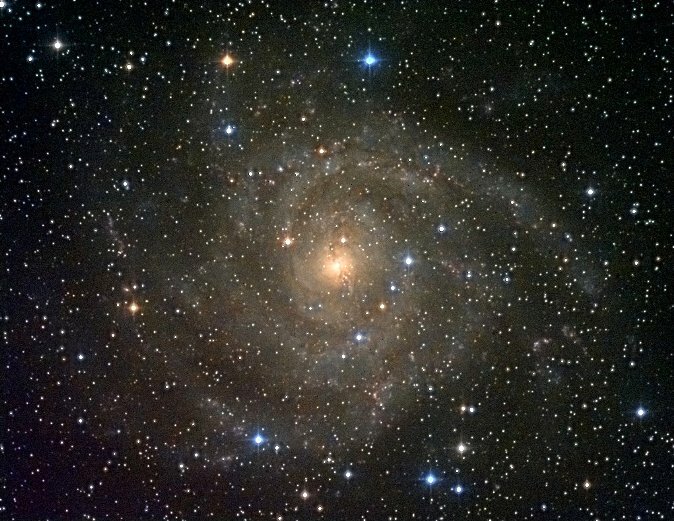 IC 342 (also known as Caldwell 5) is an intermediate spiral galaxy in the constellation Camelopardalis at a distance of 7 to 11 million light-years. IC 342 belongs to the IC 342/Maffei Group of galaxies, one of the galaxy groups that is closest to the Local Group. It is very large but with very low surface brightness, being obscured by Milky Way dust.